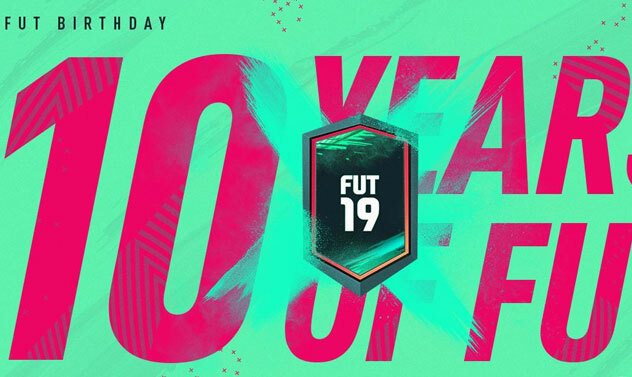 FUT 19 Birthday starts tomorrow! This year marks the 10th anniversary of FIFA Ultimate Team and we are celebrating it with FUT Birthday! 10 years of FUT has produced more than a few memorable players whose in-game performance earned them special status in the community. Seven of these “FUT Favourites” will be released throughout the event as both SBCs and Objectives, with a Flashback, Premium SBC or FUT Birthday item type. FUT Birthday is available on PlayStation4, Xbox One and PC. Nintendo Switch will only have the Birthday Squad, Birthday Squad SBCs, Puzzle SBCs and the Engagement Reward.